Servers: when the time comes, should you upgrade or replace them? Although virtualization helps administrators use their hardware resources more efficiently, servers are often expensive, making them difficult to simply replace. On the flip side, upgrading servers purely for the sake of change is costly as well, and can cause issues in your data center. 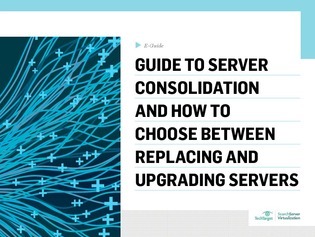 In this guide compiled by the team at SearchServerVirtualization.com, you’ll learn how to make an informed decision on whether to replace or upgrade your servers. Download your copy to hear from our experts on this topic, as well as how server-side SSDs can improve performance, should you choose to upgrade, and how to integrate them into your server consolidation efforts.